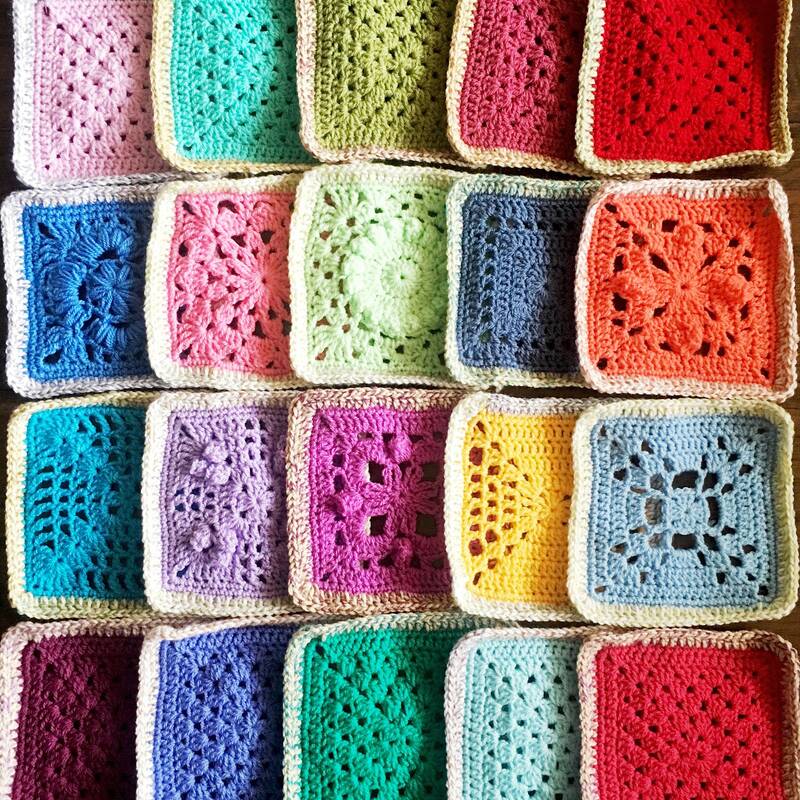 New crochet patterns being added all the time, and a full stock of yarns coming soon. 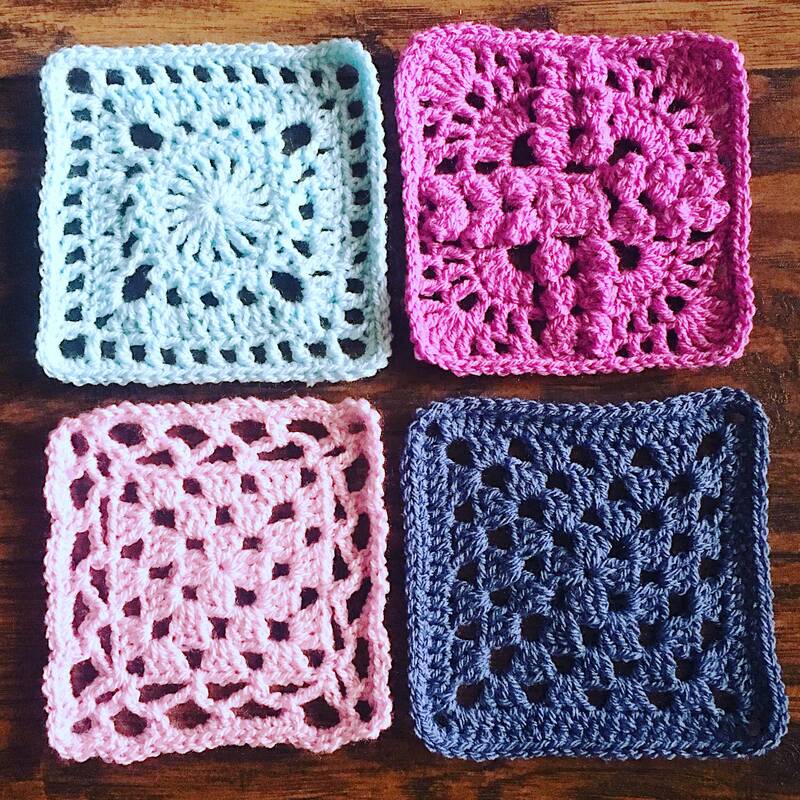 Click to check out my value pattern sale bundles! 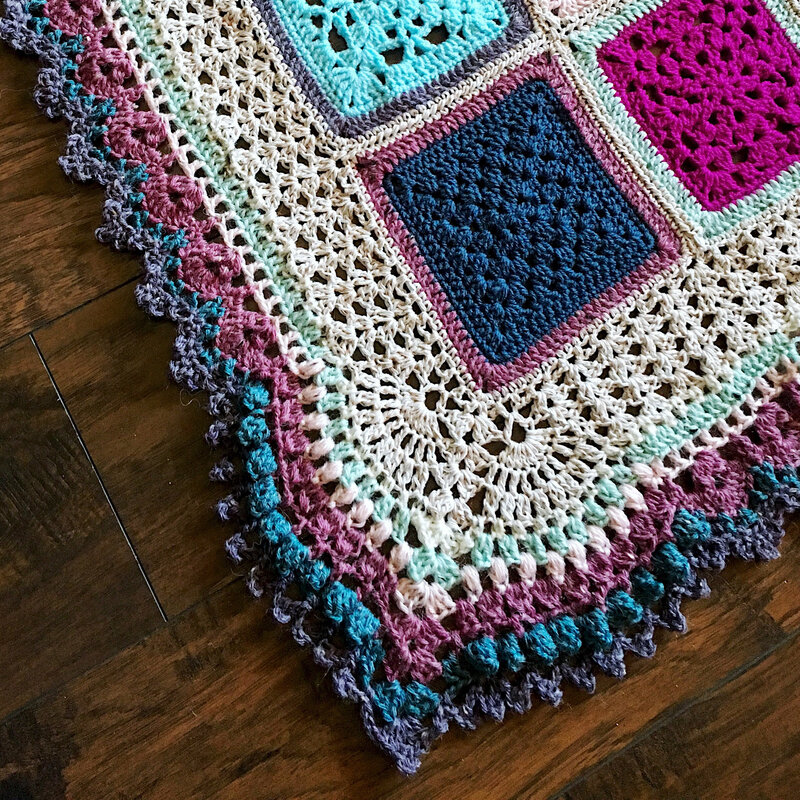 This 20 page popular crochet PDF includes 33 granny square patterns plus joining method and wide lace border that will fit any blanket size. Great to make as a wedding gift. 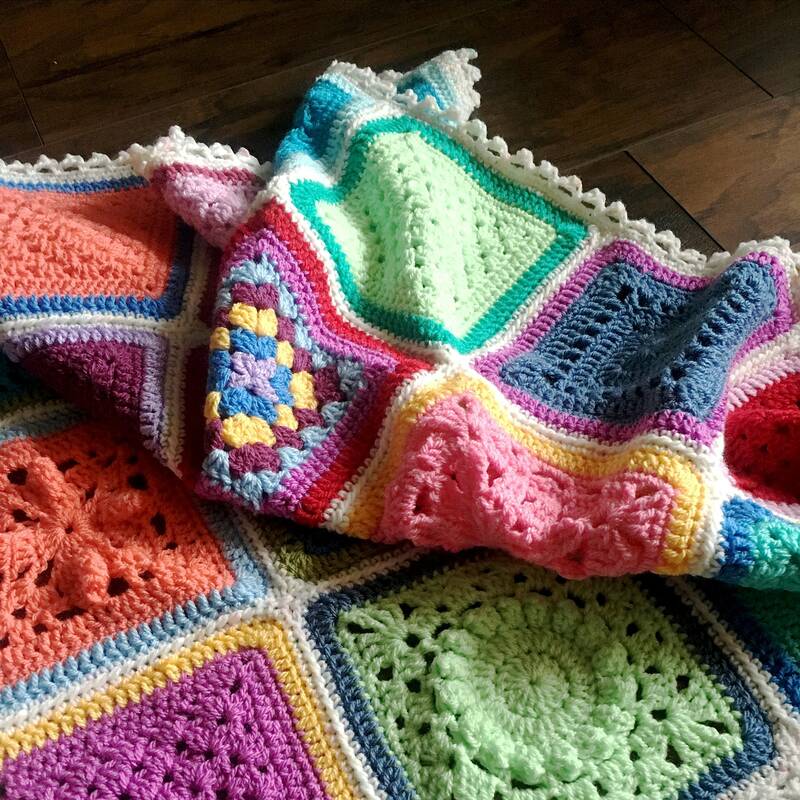 Vibrant Vintage blanket is based on a piece from my Patchwork collection. 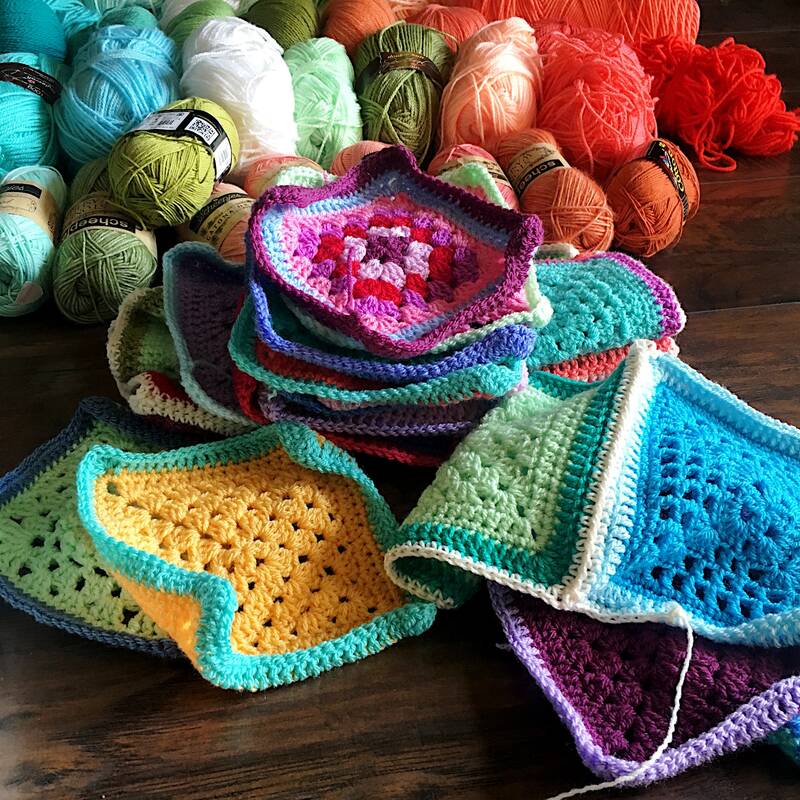 When I was posting progress photos on social media of that blanket, I was asked if I would post patterns, or even put a CAL together. So I did! 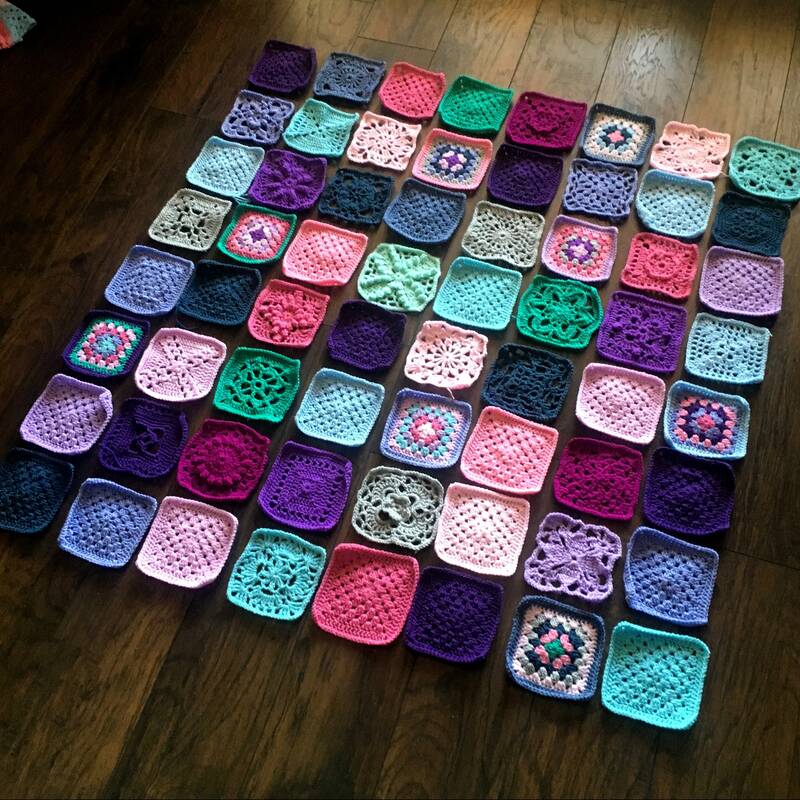 In January 2016, I started a CAL and I posted squares each week, then finished with joining options and the border. It was so much fun! I’m still so proud of the crafter community. All the finished VVCAL blankets are amazing. 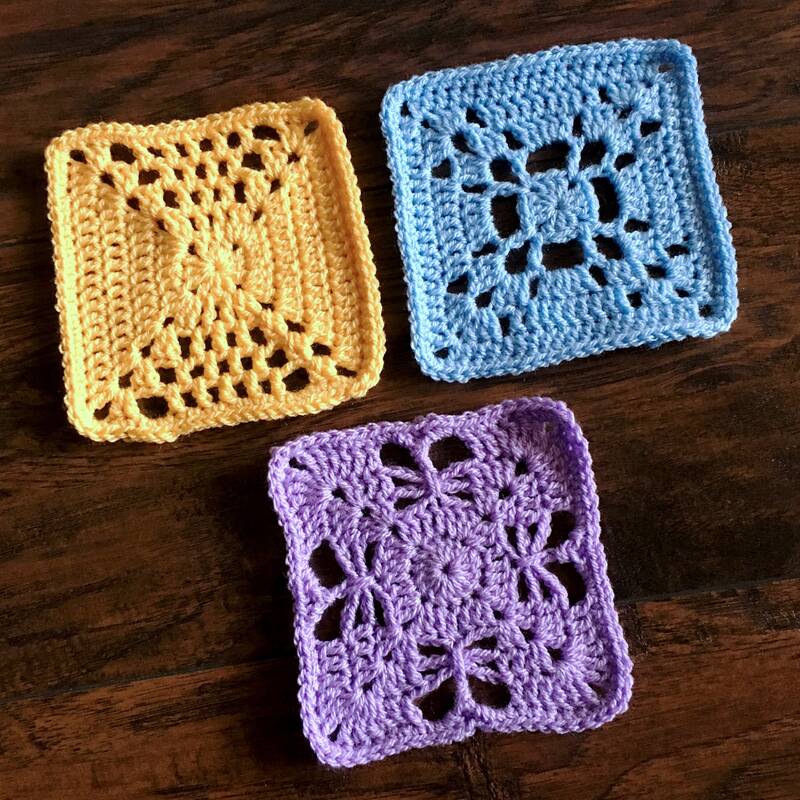 Now, it is more of a link hub to navigate the many VVCAL blog posts – all 33 squares, joining options, and wide lace border. 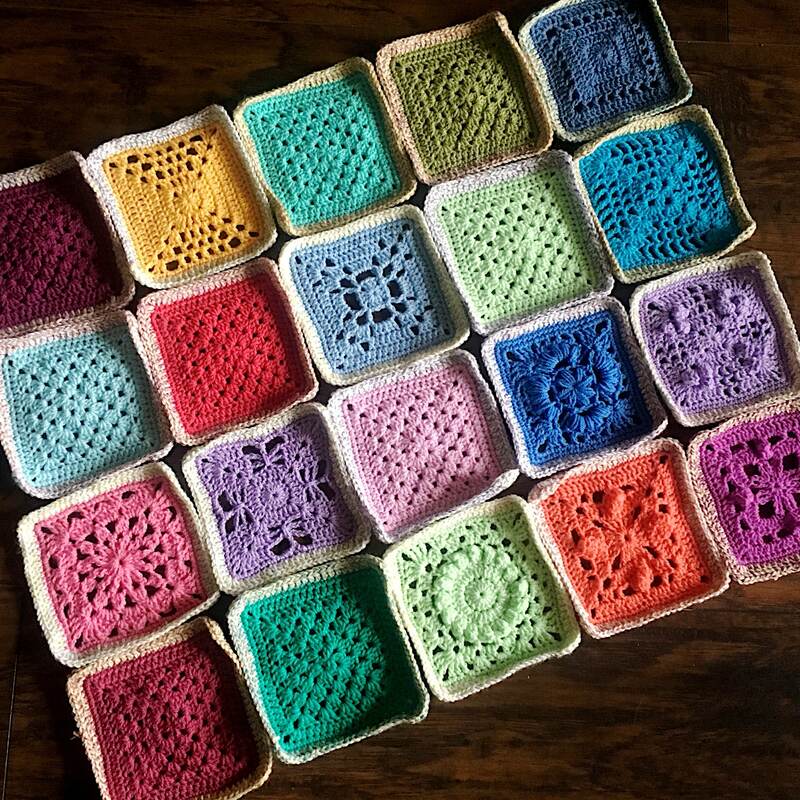 For this neat and tidy PDF, I thoroughly updated all of the Vibrant Vintage squares and the border pattern. Every aspect of the pattern has been updated for clarity, and condensed. All for just $5. Worth it! I used DK weight yarn and a size G 4.5mm hook. Finished blanket as written measures 68 x 68in. 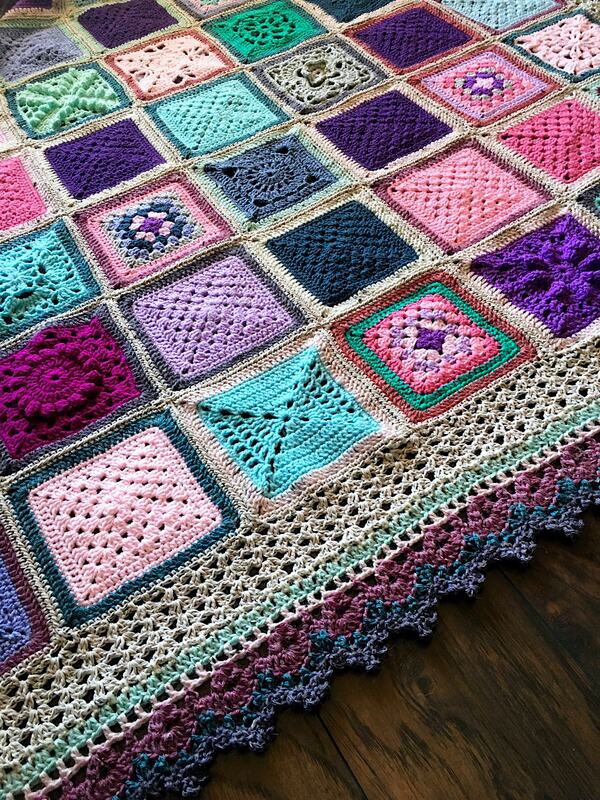 It is very easy to resize this blanket, and the border will still work the way it is written. I do not generally have a need to accept refunds. But Refunds can be discussed on a case by case basis. Convo me if you aren't satisfied! Exception: Digital sales are final; no refunds will be allowed on digital products. Very happy with pattern purchase, very well written. 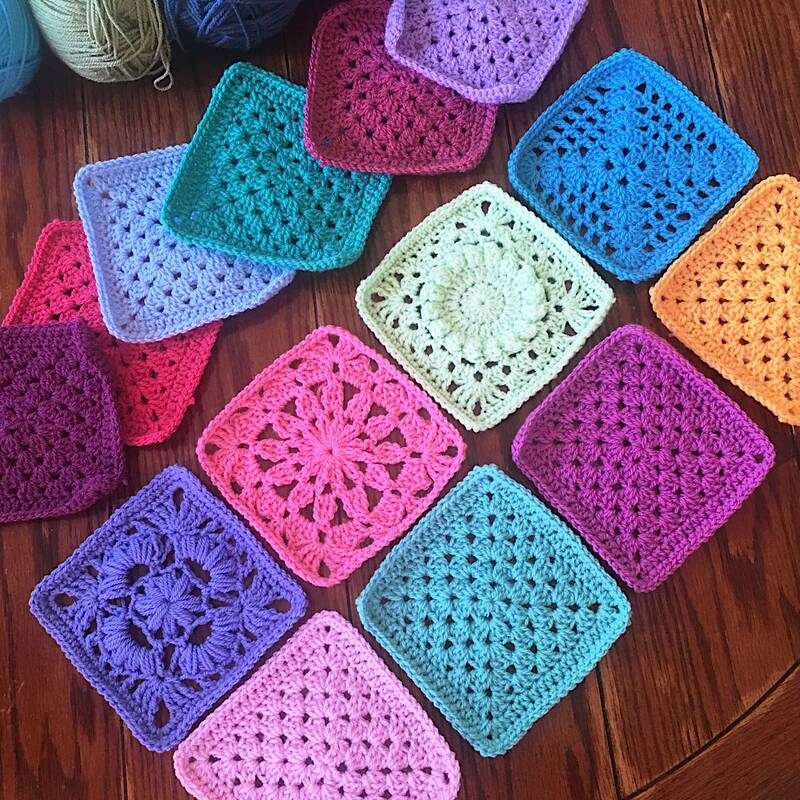 Can't wait to work on these patterns! I love this website, there are just so many patterns to look over and the colors used are perfect. I can’t wait to start them...one at a time, just exquisite!